In an IGN interview sure to prompt zombies everywhere to order new running shoes online, screenwriter Alex Garland revealed that “serious conversations” about making 28 Months Later have finally begun. 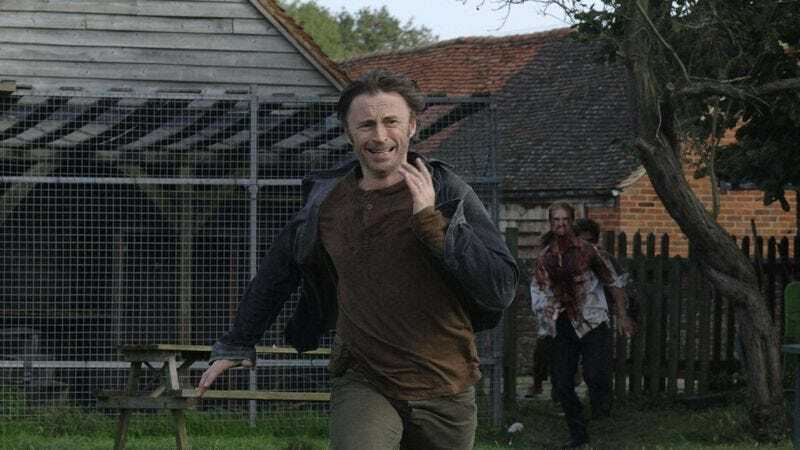 Garland, who wrote 28 Days Later and was an executive producer on 28 Weeks Later, said he’s been meeting with 28 Days Later director Danny Boyle and 28 Days Later and 28 Weeks Later producer Andrew Macdonald, and that the threequel is a definite “possibility” at this point. Boyle has been talking about returning to the zombie franchise for years, although progress on the film, unlike its zombie antagonists, has been frustratingly slow. He also said, “It’s more likely to be 28 Months than 28 Years,” noting, “28 Years gives you one more place to go. 28 Decades is probably taking the piss.” Maybe, but 28 Centuries Later could delightfully push the series’ horror and science fiction elements to their extremes—though 28 Millennia Later would probably just be a zombie/Cosmos mash-up video.